RADAN CAD/CAM 2018 R1 is only available as a 64-bit version – it is not possible to install this version on a 32-bit operating system. 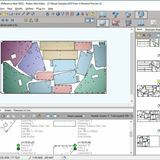 This version of the software supports import of Solid Edge ST9, Creo Parametric version 4.0, Inventor 2017, SolidWorks 2017, and Unigraphics NX 11 files. 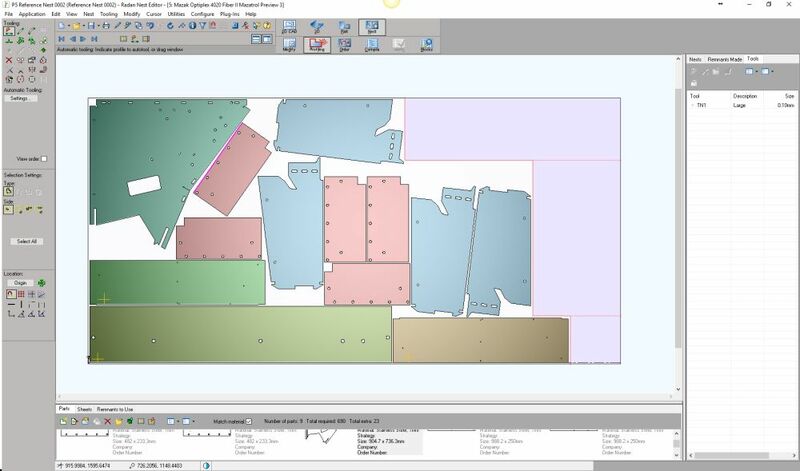 When unfolding 3D sheet metal parts, any chamfered or formed holes on flat sheets will be represented by two profiles. The smaller profile (the hole) will be output in the pen specified for inner profiles, while the larger profile will be output in the pen specified for forms. Note that all holes on non-flat sheets will still be represented by a single profile. 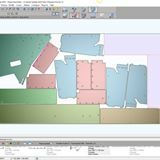 The option ‘Rectangular Offcuts’ cuts the unused area on the sheet up into rectangular remnants, as specified using ideal widths, ideal heights and the minimum size. A tight offcut preserves the unused area of the sheet as a single remnant. 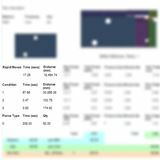 When changing machine tool, the strategy (if applicable) and Standard Tool Loading file will be updated to their current values for the selected machine (or to MDB/system data-specified default values if they have not yet been set for the selected machine). The tooling (and annotation on a nest) for the selected machine will also be shown. If the selected machine supports strategies then you can also change the currently selected strategy using the Change Strategy... button. 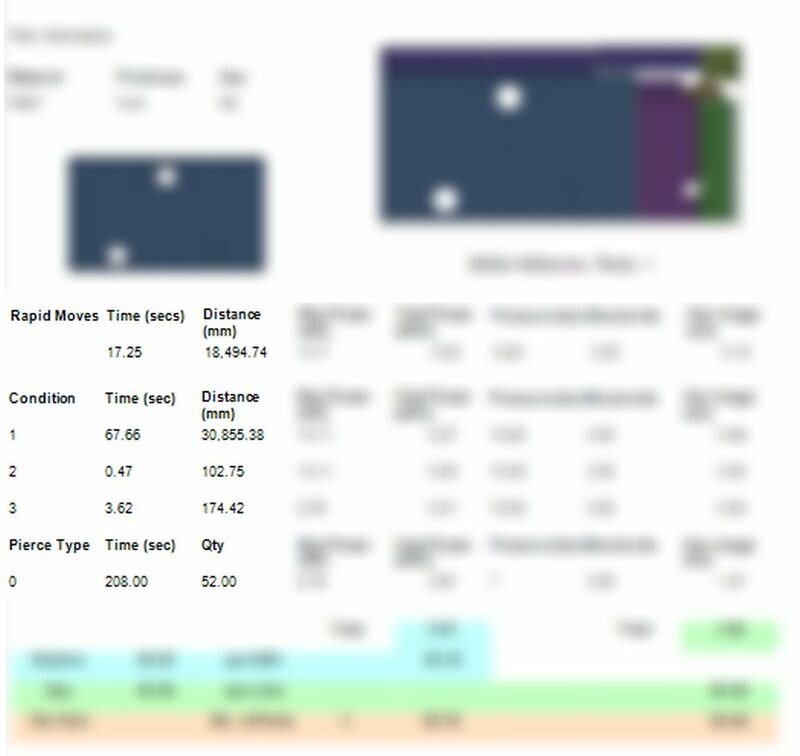 If the Standard Tool Loading file has not yet been set for this machine then it will be updated to its MDB/system data-specified default value; if it has been set already, but to a value different to its MDB/system data-specified default value, then the software will ask whether or not to continue using the value already set. 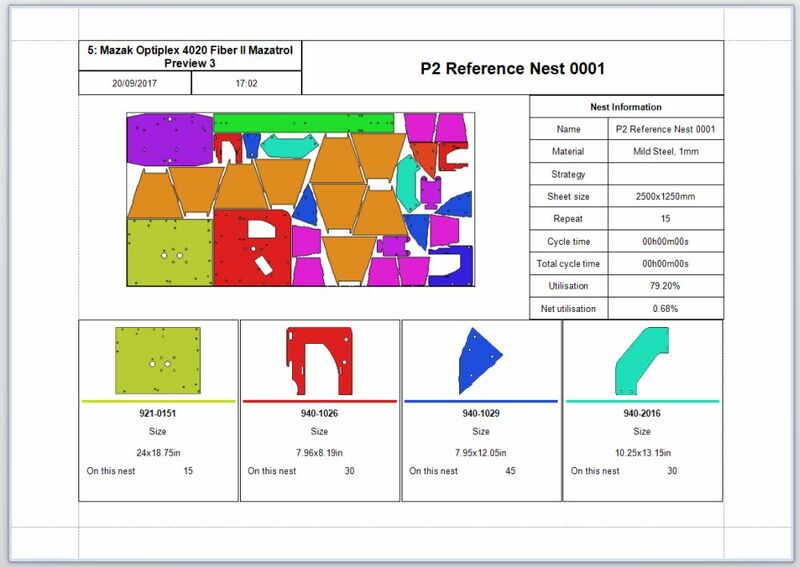 RADAN 2018 R1 now offers a new approach to nesting that focuses on optimizing the utilization across a batch of nests (multiple nests). The new option is currently only available for profiling machines and can be found in the Multi-Part Nesting dialog. Automatic fingerstop selection has been changed to combine co-aligned edges into one combined edge, filtering out small notches and crossing perpendicular bend-zones. 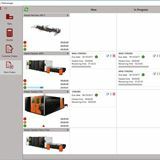 This will reduce the number of unwanted alternative positions and possibly create new positions that meet minimum length requirements. The options menu now has a setting to control the maximum allowed gap for combining the edges. This defaults to the smallest flat fingerstop positioning face on a fingerstop minus the minimum overlap. Previously any gap would lead to separate positioning faces and could result in a not optimal fingerstop placement (left). Radbend 2018 now applies the default gap (30mm) and combines the edges into one positioning face allowing the fingerstop to be in the middle. With option “Minimize Z-axis movements” on, the fingerstop selection will try to select the same fingerstop Z-axis positions for as any bends as possible. This will reduce the amount of Z-axis movements between bends. This can enhance the security and be helpful avoiding slow axis movements on some machines. New options are available when saving files from assemblies. 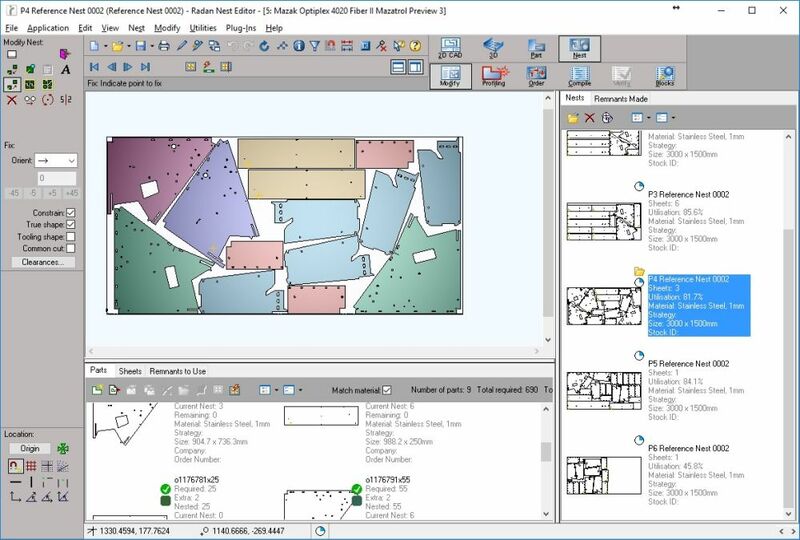 During Auto Cut a new window allows you to exclude cuts, assign properties and change technology to any group of cuts before the tooling is created. 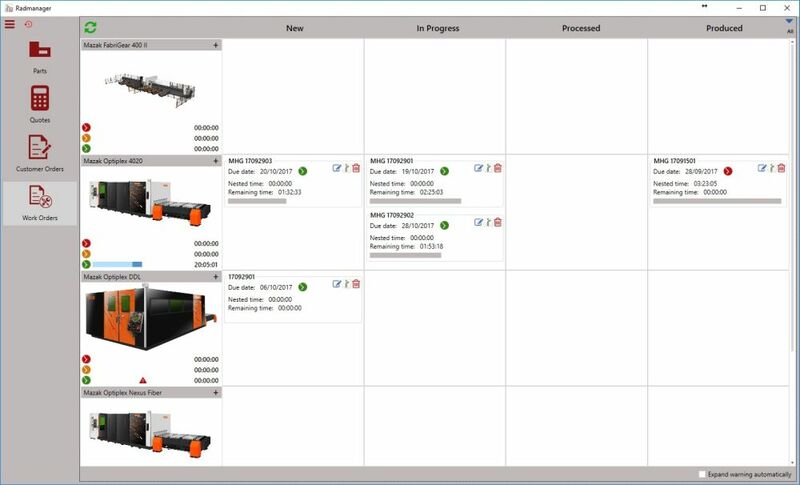 Assemblies are now supported in Radpro, and indicated on the parts list. In some cases, 3D source files do not include separate files for the sub parts. 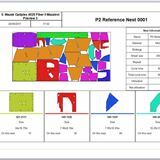 When this is detected we create SAT files for each part and assign them to the sub parts. This means you can continue to process the files with minimal fuss.